"What would you do if you found a million bucks?" "Money for Nothing" is a film from 1993 starring John Cusack and Debi Mazar. 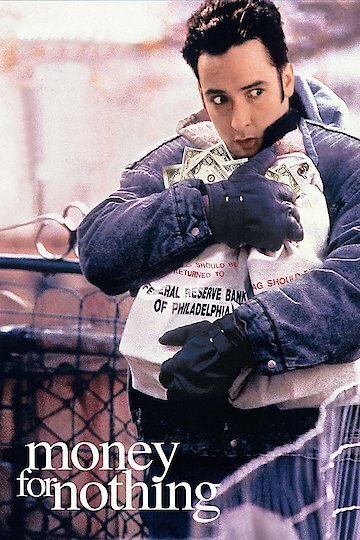 While dramatized for Hollywood, the movie is based on the true and compelling story of Joey Coyle, an unemployed man from Philadelphia that found an unexpected bounty of money - $1.2 million - that had fallen off an armored truck. In the film, Joey Coyle is down on his luck looking for work and finds the money on the road. With him is a friend who finds it difficult to square his morality with his friend keeping the money they find. But Coyle has no such trouble - he lives by the code of "finders keepers" and goes about the task of hiding his good fortune from his family. The police quickly close in on Coyle and his friends and family, and Coyle has to make difficult choices about his life. Money for Nothing is currently available to watch and stream, buy on demand at Amazon, Vudu, Google Play, iTunes, YouTube VOD online.